Rain barrel outside of Loyalist College. Photo by Rachel Bell, QNet News. BELLEVILLE – World Water Day is celebrated every March 22 to remind people how threatened the world’s water supply is, and to help preserve it. This year’s theme is ‘Nature for Water,’ meaning exploring nature-based solutions to the water challenges in the 21st century. For decades now, people have been collecting water using rain barrels, which allows it to be reused. Larry Pomerantz, owner of rainbarrel.ca, a Hamilton, Ont. online company which sells barrels, says they have many purposes. “They collect free water – free rain water coming off of a roof, it doesn’t have any fluoride or chlorine in it, so it’s actually better for your plants and vegetables,” he said. Pomerantz says rain barrels help the environment by helping keep water out of the storm sewers. “By slowing water down, by holding it in a rain barrel, we can release it a little bit later, and onto permeable surfaces, where it can soak into the ground and basically get filtered,” he said. Pomerantz said he believes preserving our water supply is extremely important. There are all types of things people in the Belleville area can do to help preserve water. Leah Pomerantz, also part of rainbarrel.ca, says people may not be aware of how useful the barrels can be. 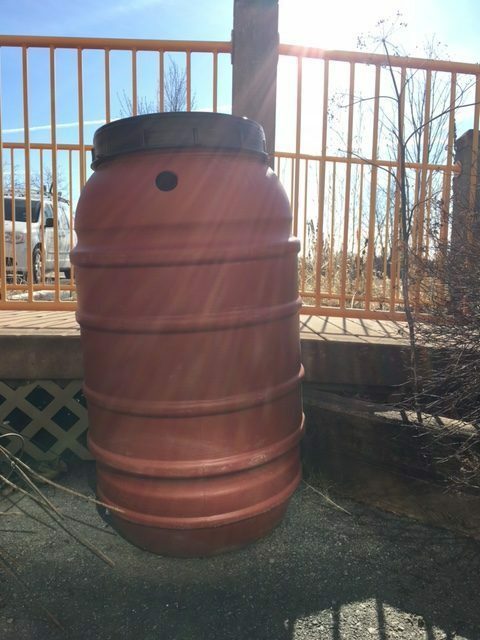 Rain barrels also come in handy when we have excessive amounts of rain, said Larry Pomerantz.